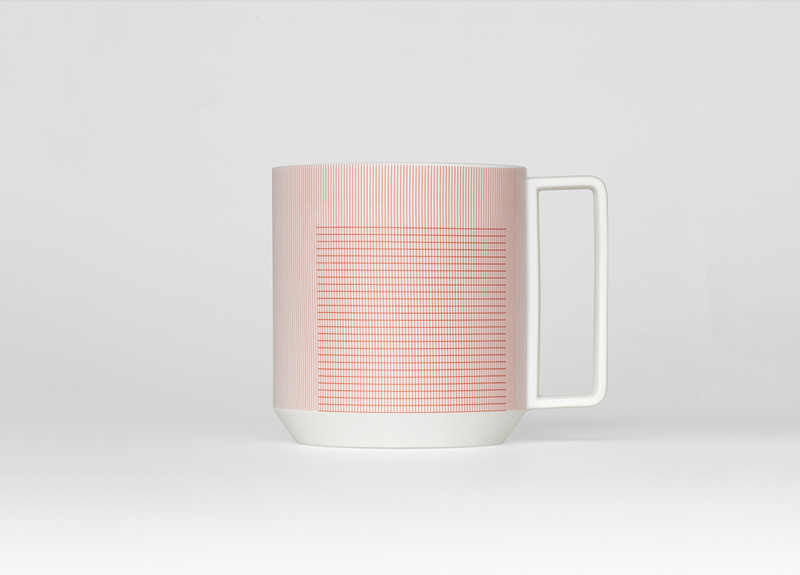 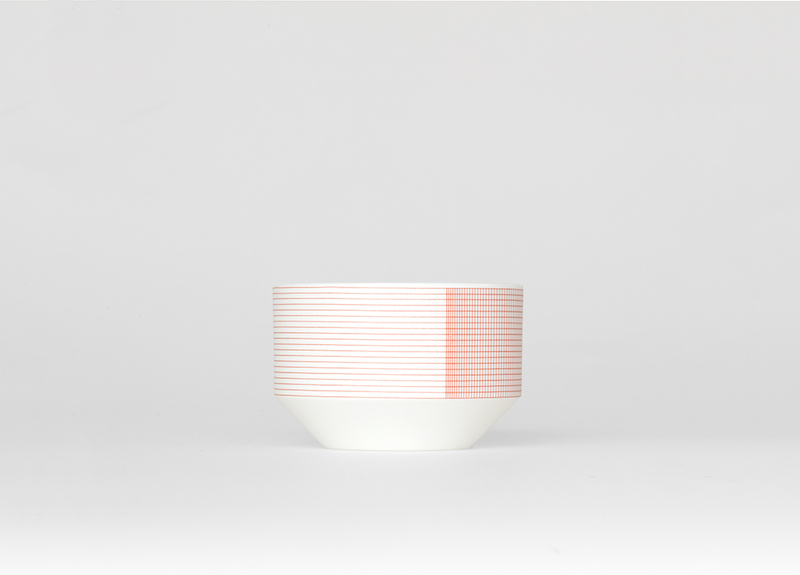 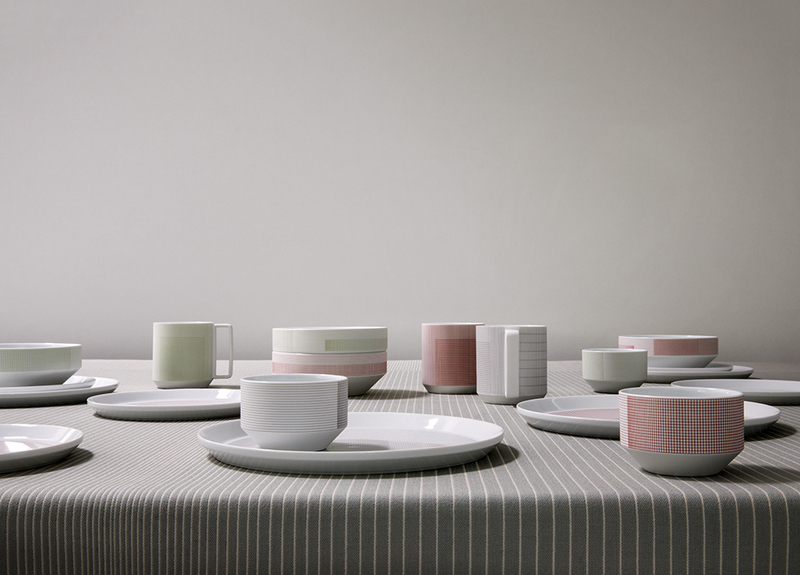 Geometric simplicity characterizes the five-piece set of porcelain tableware – encompassing a small and large plate, bowl, cup, and mug – seen in circular volumes set atop slightly conical bases. 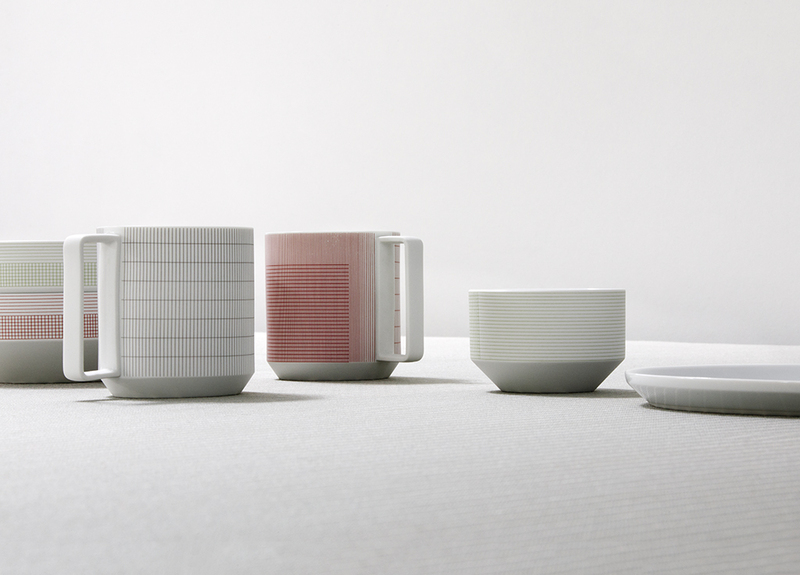 Produced by 1616 / arita japan, the porcelain is embellished with a graphic reinterpretation of Grid, a textile created by Scholten & Baijings from 2014 in collaboration with the New York-based Maharam Design Studio. 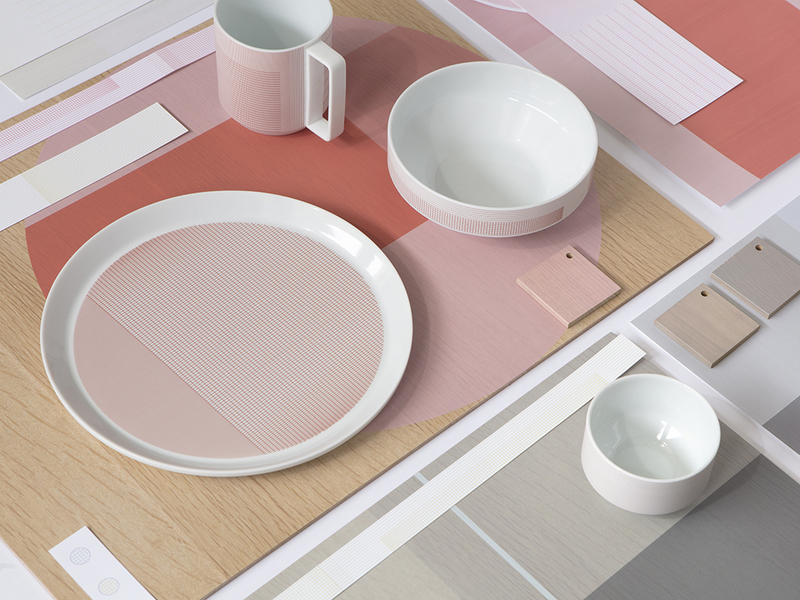 Likewise, three rectangular oak trays are adorned with Blocks, the companion textile to Grid. 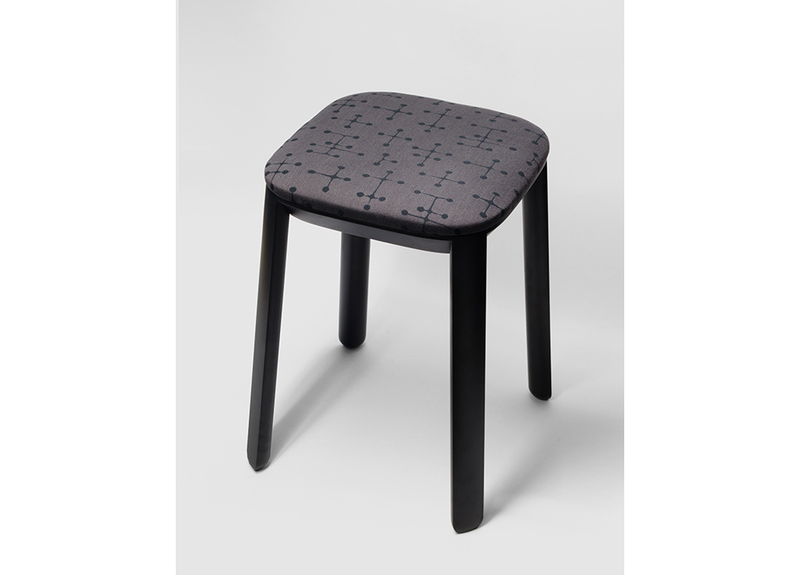 Karimoku New Standard is the manufacturing partner for the Covered Stool. 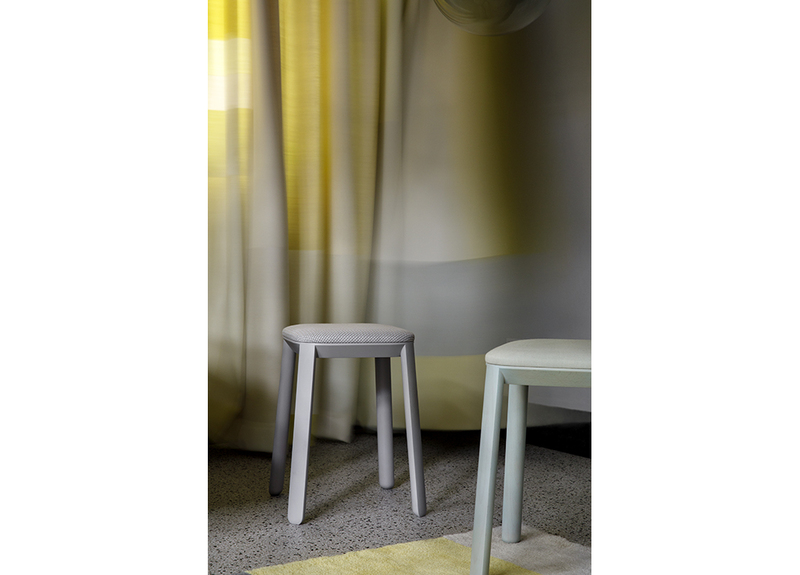 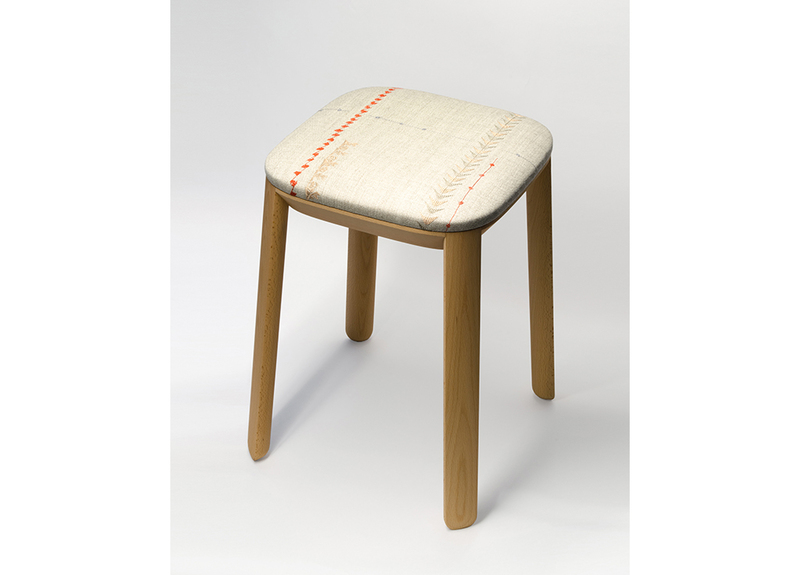 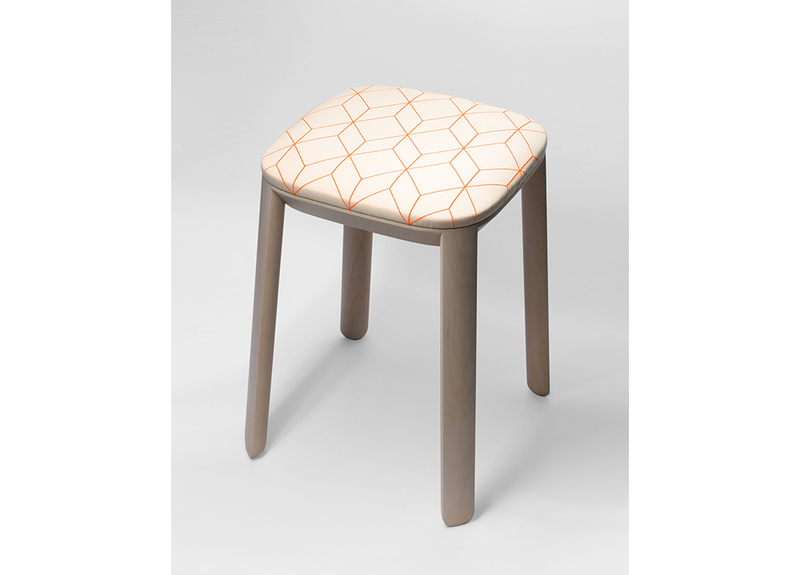 With a slender profile and stackable frame, the stool is topped with an upholstered seat. 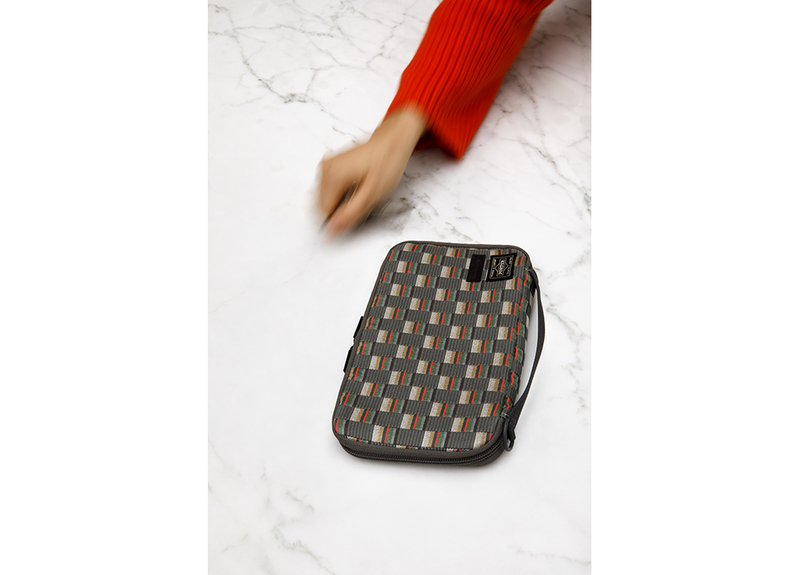 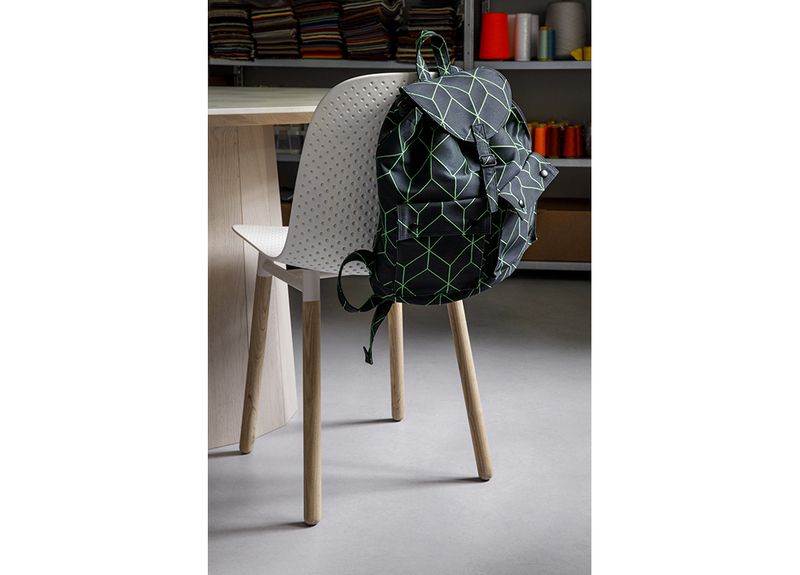 In addition to the creation of original designs, Scholten & Baijings also oversaw the curation of a limited-edition collection of Porter Yoshida & Co bags. 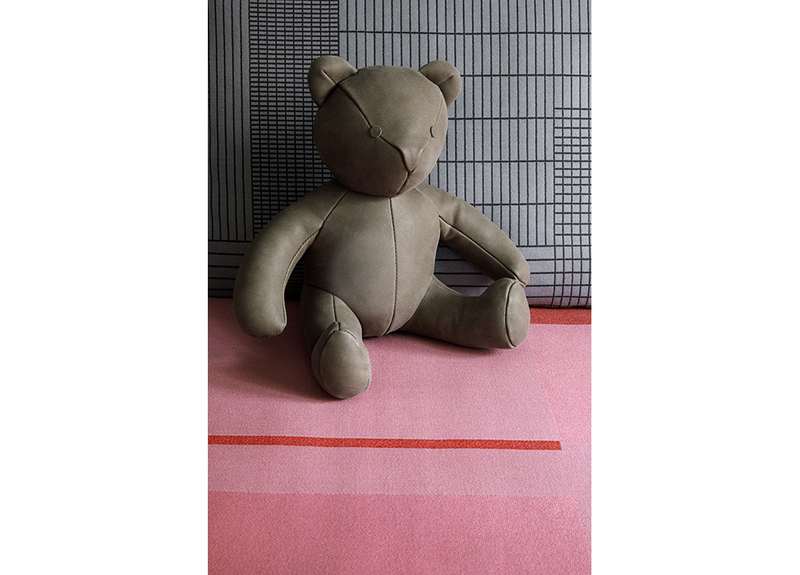 Finally, Scholten & Baijings have also created a new prototypical iteration of the Maharam Bear.